The third installment of our OEP Awards focuses on high-achieving elementary schools by region and grade level. (Click here to read the Awards Report.) These awards are based on the April 2013 Benchmark exam scores for students in grades 3-8. This particular report is divided into two main sections. The first section identifies the top 10 elementary schools in Arkansas by grade-level achievement in mathematics, literacy, and a combination of the two. The awards presented in this section are organized in terms of grade-level performance on the Benchmark exam for grades 3, 4, and 5. The second section of the report identifies the top-achieving elementary schools by Benchmark performance for grades 3, 4, and 5 in each region of the state. The high-achieving elementary schools were recognized based on the GPA of the school in each subject. The OEP calculates a GPA for each school on the basis of the percentage of students that perform at each performance level on the Benchmark exam (advanced, proficient, basic, and below basic). You can read more about our GPA measure here. The statewide math elementary GPA average is 3.20, and the averages of the top 10 elementary schools in mathematics for grades 3, 4, and 5 in Arkansas are well above that at 3.90, 3.83, and 3.62. Many of the schools that received an award in one of the grade-level categories also received an award in an additional grade-level category. However, only one school made the top 10 elementary list in mathematics for all grades. We would like to give an additional round of applause for Mount Pleasant Elementary School (Melbourne) for making the top 10 elementary list in math for grades 3, 4, and 5! A few schools stood out on the top 10 lists in elementary literacy. Hoxie Elementary School (Hoxie) and Norfork Elementary School (Norfork) both made the top 10 list in literacy for grade 3 but also were recognized in the top 5 list in literacy for grade 3 among “high-poverty” schools. As for Benchmark achievement for grade 5, four schools from the top 5 list in literacy for grade 5 among “high-poverty” schools also made the top 10 list in elementary literacy achievement for grade 5. Congratulations to Weiner Elementary School (Harrisburg), Kirby Elementary School (Kirby), Salem Elementary School (Salem), and Norfork Elementary School (Norfork). These schools not only are “beating the odds,” but they are among the top-performing elementary schools for 5th grade literacy achievement in Arkansas! In the Northwest region for high-achieving elementary schools in Arkansas, one school stood out in terms of Benchmark achievement in mathematics and literacy. Vandergriff Elementary School (Fayetteville) was ranked first on the math and literacy top 5 lists for Northwest Arkansas. Vandergriff also made the top 3 regional lists for mathematics achievement in grades 4 and 5 and for literacy achievement in grades 3, 4, and 5. Congratulations to Principal Stark and the staff and students at Vandergriff Elementary School! Three schools deserve extra recognition in the Northeast regional category of high-achieving elementary schools in Arkansas. 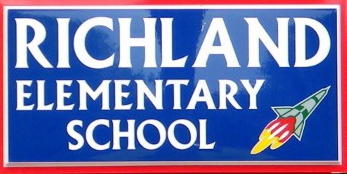 Mount Pleasant Elementary School (Melbourne) and Richland Elementary School (West Memphis) were not only the highest-achieving elementary schools in the Northeast region, but they are also among the top 25 elementary schools in Arkansas for mathematics and literacy Benchmark achievement. Hats off to both elementary schools for their high performance! In the Central region, the students and staff at Park Magnet School (Hot Springs) deserve additional recognition for the school’s exceptional achievement. Park Magnet is ranked first in elementary literacy and mathematics achievement for the Central Arkansas region and is ranked first in combined literacy and math achievement of elementary schools in Arkansas for grades 3, 4, and 5. Congratulations to Park Magnet School such high performance! One notable school in the Southwest region is Centerpoint Primary School (Centerpoint). Centerpoint Primary School made the top 5 list for regional elementary achievement in literacy and mathematics, and also ranks among the top 25 “high-poverty” schools in literacy and math achievement. Congrats to Centerpoint Primary School for beating the odds at the regional and state levels! In the Southeast region, Des Arc Elementary School (Des Arc) and Eudora Elementary School (Lakeside-Chicot County) stand out. Des Arc Elementary School ranks in the top 5 in the region for its high-achievement in mathematics and literacy. With over 90% of its student population being eligible for free or reduced lunch, Eudora Elementary School is “beating the odds” in the Southeast region, making the top 5 list in mathematics and literacy. Hats off to the students and staff at these two schools! We would like to extend congratulations to all of the High-Achieving Elementary Schools in Arkansas based on performance on the Benchmark Exams! Stay tuned for our next installment of the OEP Awards, where we will highlight High-Achieving Middle Schools by grade levels and regions.